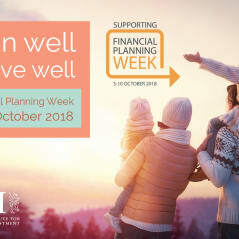 Shaw Gibbs are delighted to be supporting Financial Planning Week and will be holding free, one hour consultations which can be booked in advance in both our Oxford and London offices for the week commencing 3rd October, via www.shawgibbs.com/book-meeting or by calling +44(0)1865 292 200. Shaw Gibbs Financial Services Ltd is a firm of Independent Financial Advisers and is authorised and regulated by the Financial Conduct Authority. The Financial Ombudsman Service is available to sort out individual complaints that clients and financial services businesses are not able to resolve themselves. To contact the Financial Ombudsman Service please visit www.financial-ombudsman.org.uk. To contact the team directly please email financialservices@shawgibbs.com or phone us on 01865 292200.